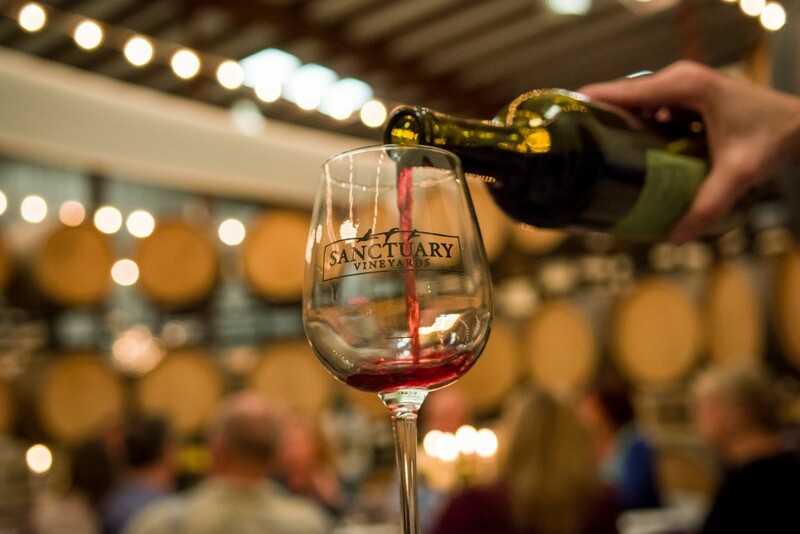 Join us for an exciting wine tasting at Sanctuary Vineyards, the Outer Banks’ leading producer of award-winning wines. You will sample locally grown wine varietals, paired with complimentary NC artisan cheeses, while learning the basics of wine appreciation. This casual tasting takes about 30 minutes, so you can come in anytime to enjoy at your convenience. 21+ only. This event is taking place all 4 days of Taste of the Beach. Please purchase your tickets below to your desired day carefully so there is no confusion as to what day Sanctuary Vineyards should expect you. A 3% fee will be added to checkout to cover administrative costs.